Aurora HDR 2018 is Coming. For Mac & Windows! Yes! All the Windows users out there can finally experience this software. You've most likely heard about Aurora HDR. Macphun co-designed the software with Trey Ratcliff, HDR master extraordinaire. 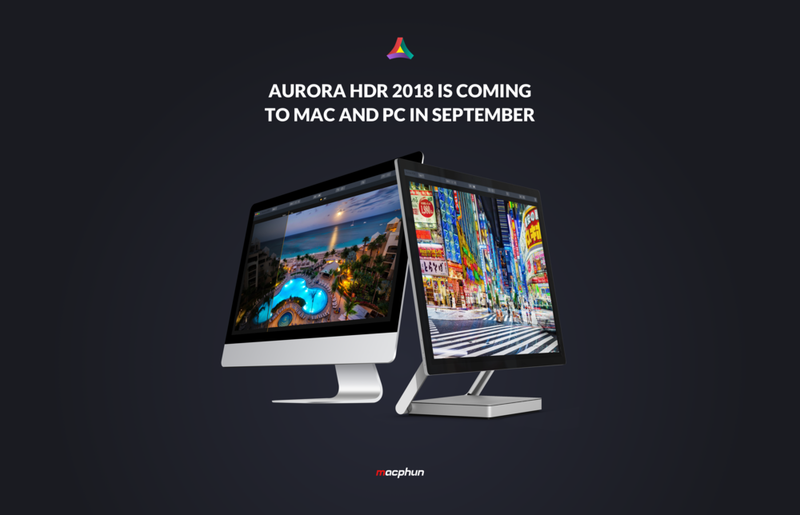 Well... Aurora HDR 2018 is coming in September. And you can save money with a pre-order. Current users can pre-order the upgrade for just $49 USD. For new users, like all the Windows users chomping at the bit, the pre-order price is $89 USD. What's coming in the new version? Let's have a look at the press release. San Diego, CA August 15th, 2017 – We are excited and proud to announce our latest iteration of our award winning HDR software, Aurora HDR 2018. Aurora HDR 2018 will be available for both the Mac and PC, which marks a first for Macphun. Aurora HDR 2018 will be available for pre-order on September 12th, and released on September 28th. Cross-platform version - Aurora HDR 2018 will be available both for Mac and PC users with interchangeable files, enabling mixed-computer households to share the same product key. So there ya go. If you're a Windows user and have been waiting for this... it's a happy day. And for the rest of us, new features are always welcome, right?